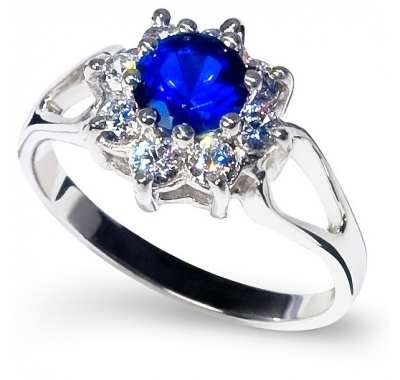 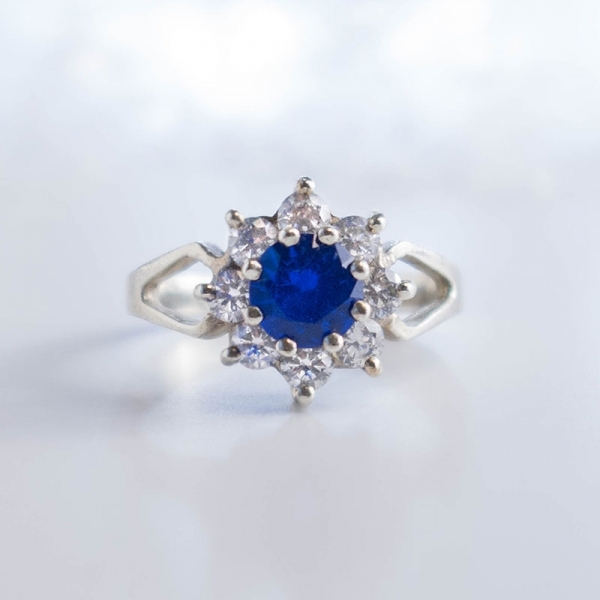 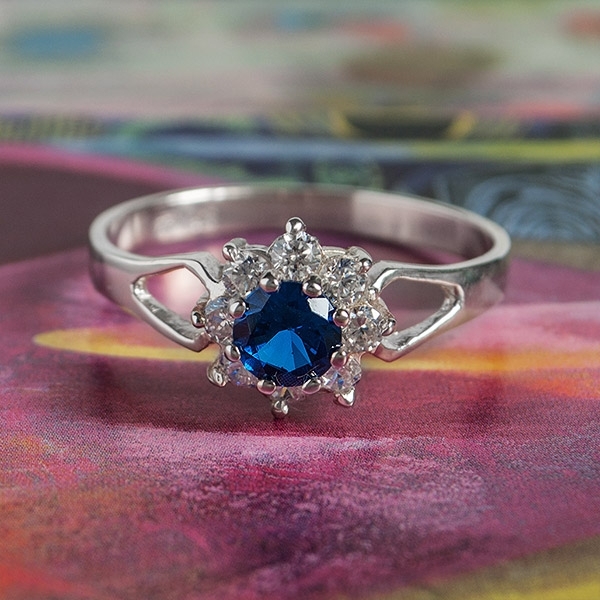 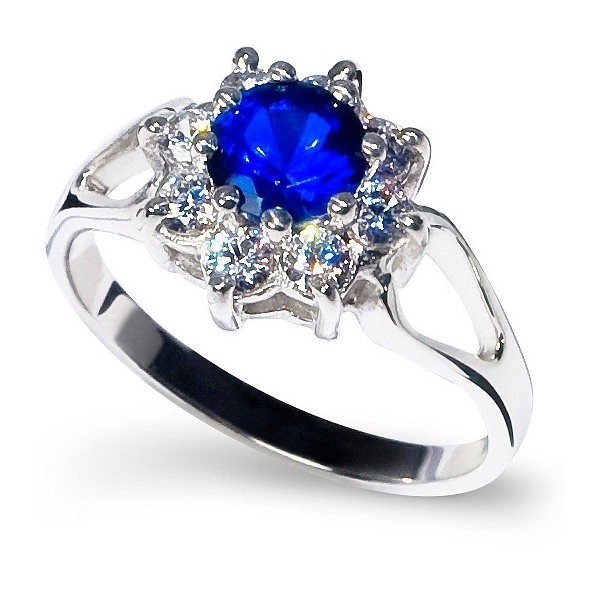 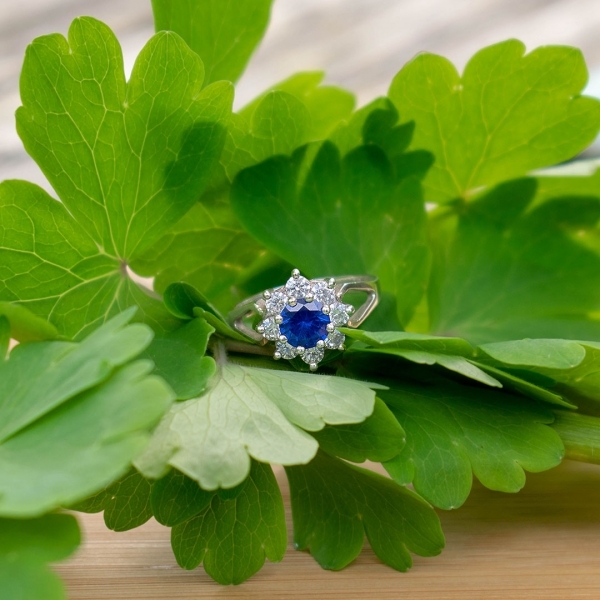 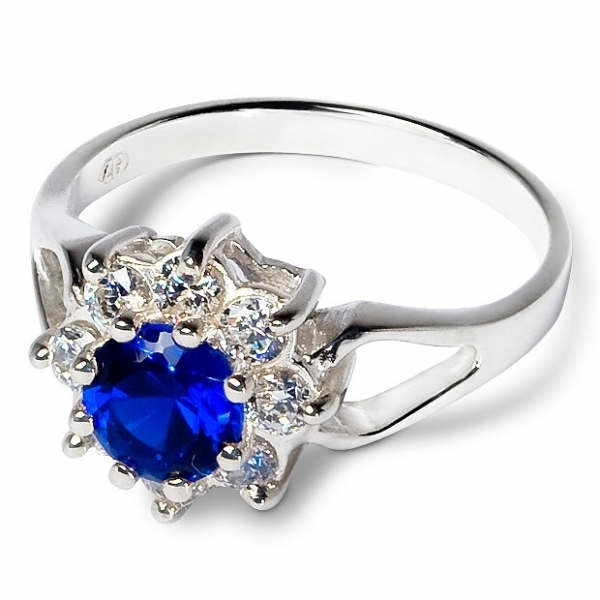 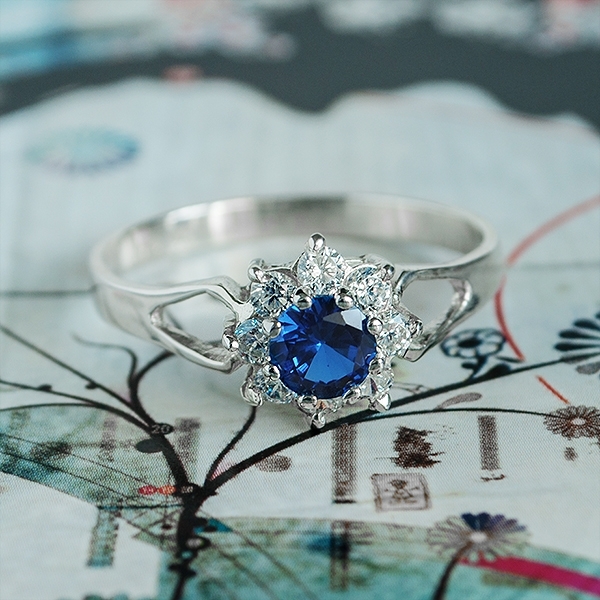 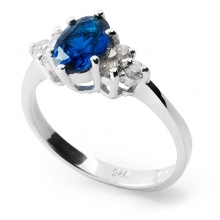 This is a very feminine and romantic ring with a large 5mm diameter Sapphire surrounded by eight smaller cubic zirconias forming a beautiful flower pattern. 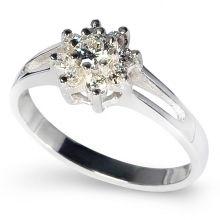 Round brilliant cut Zirconia stones give a real sparkle that you can compare only to Diamond. 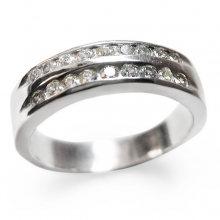 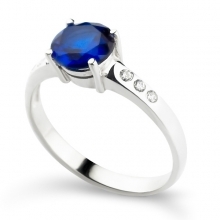 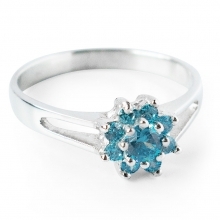 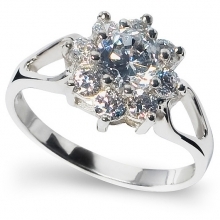 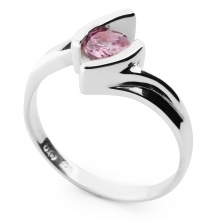 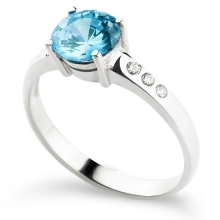 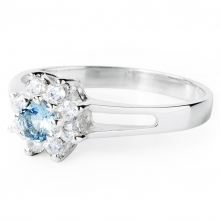 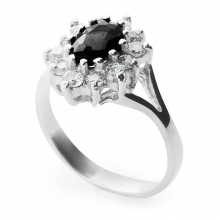 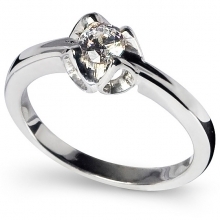 This ring is perfect for engagement and can be used as a gift for any occasion.